After sleeping for more than 30 hours since I flew back from Vegas, I think my mind is finally in a fit state to start deciphering what the trends from this year’s CES were. As a consumer tech journalist it’s impossible for me to ignore what’s going on at the show as a whole, even though I’ve got an obvious leaning towards the wearable category nowadays. But it’s also obvious that wearable tech was one of the key subjects at CES 2015. Quite literally too, as the category was moved to its own, huge, space at the Sands expo hall. No longer are the wearable companies confined to a few tables and booths in the South Hall, alongside the fridges, robot vacuum cleaners and iPhone cases. “It’s my fifth year at the show, I originally started with a space of just ten by ten feet,” Withings CEO Cédric Hutchings told me while touring the company’s impressive setup at the new venue. 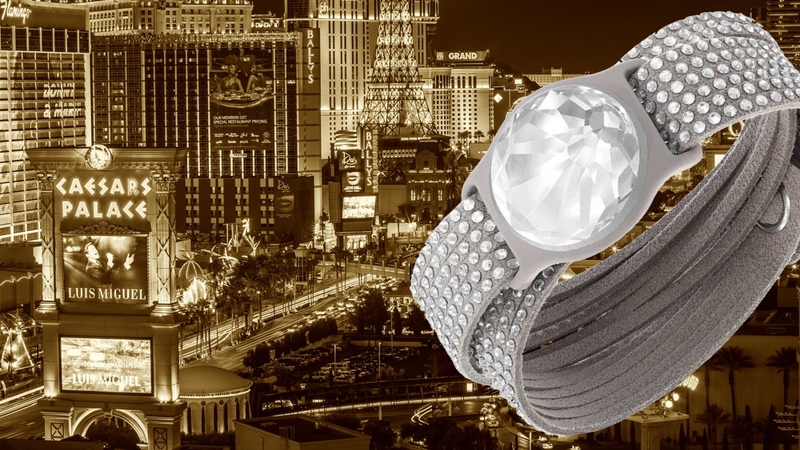 A hot topic indeed: a CES insider told us that the amount of wearable and connected health companies at this year’s show was over 500 – the number was around 110 in 2014. And the Sands venue was just as packed as the narrow corridors of the Las Vegas Convention Centre. But it’s quality, not quantity, that the industry needs right now. So while it was exciting to see so many startups at the show demoing wearable and connected self products, it was often difficult to determine the wheat from the chaff. There were some pretty bold claims flying around the show, with brands trying hard to differentiate their devices from ones already available. And only time will tell as to whether some of these bold features are actually possible – HealBe, Melomind, InBody and Zensorium, we’re looking at you. But there was also some fantastic ingenuity on show from companies with clear visions of where the wearable world is heading, with the likes of Withings, Bellabeat and Misfit further strengthening the case for wearables that are, well, wearable. It certainly does and the Swarovski Shine, along with the slick looking Withings Activité Pop, are perfect examples of how, if wearables are going to succeed, they need to borrow heavily from existing fashion brands and trends, rather than just relying on a unique feature. For while it’s important for brands to offer a user some extra functionality, that separates them from the usual setup of step counting, sleep monitoring and smartphone notifying, the main thing that will drive wearable tech is usability; a word that used to simply refer to the ease of a device’s functionality but now extends to its wearability as well. CES 2015 may well be remembered as the year wearables took centre stage but we may have to wait until next year’s show for the genuine game changing products. There’s a lot still to learn….but 12 months is a long time in tech.